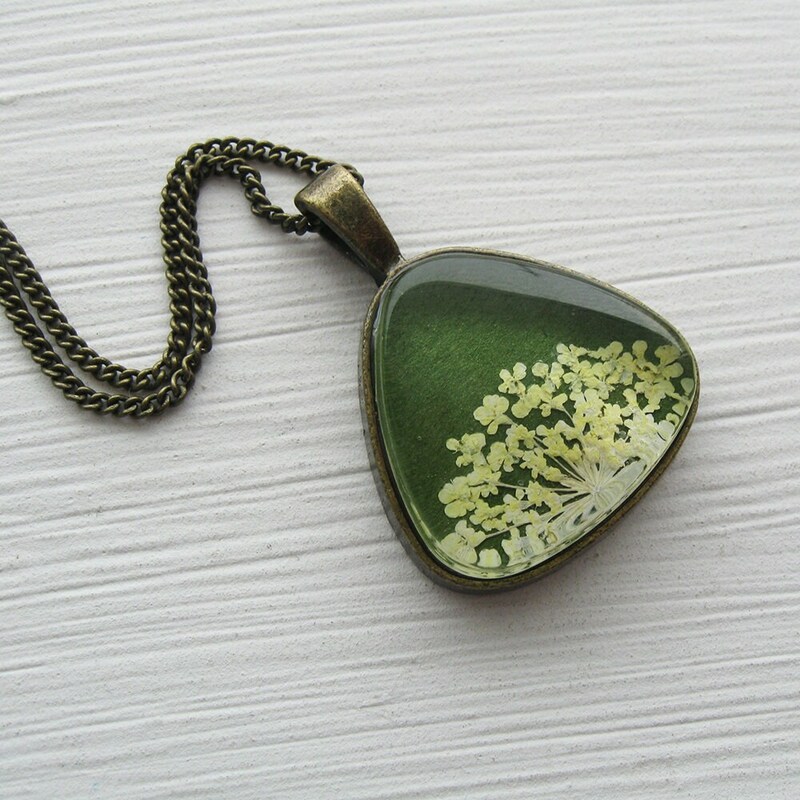 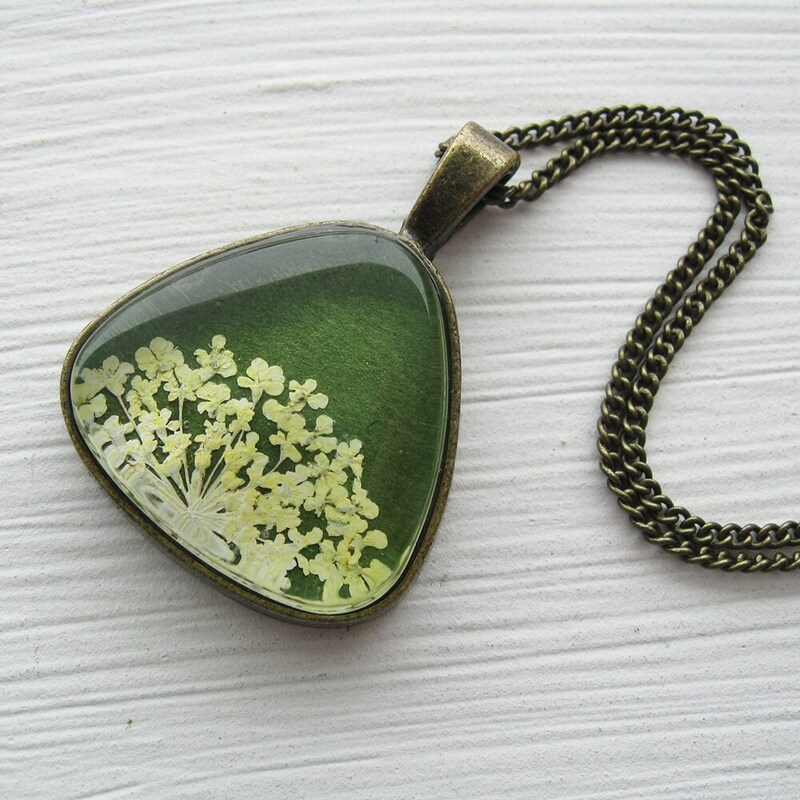 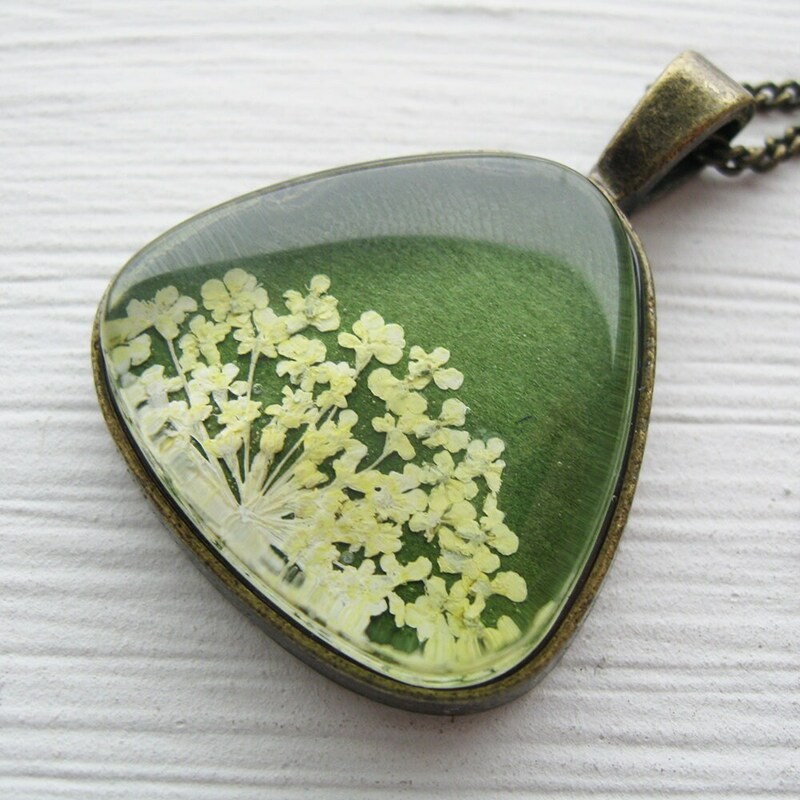 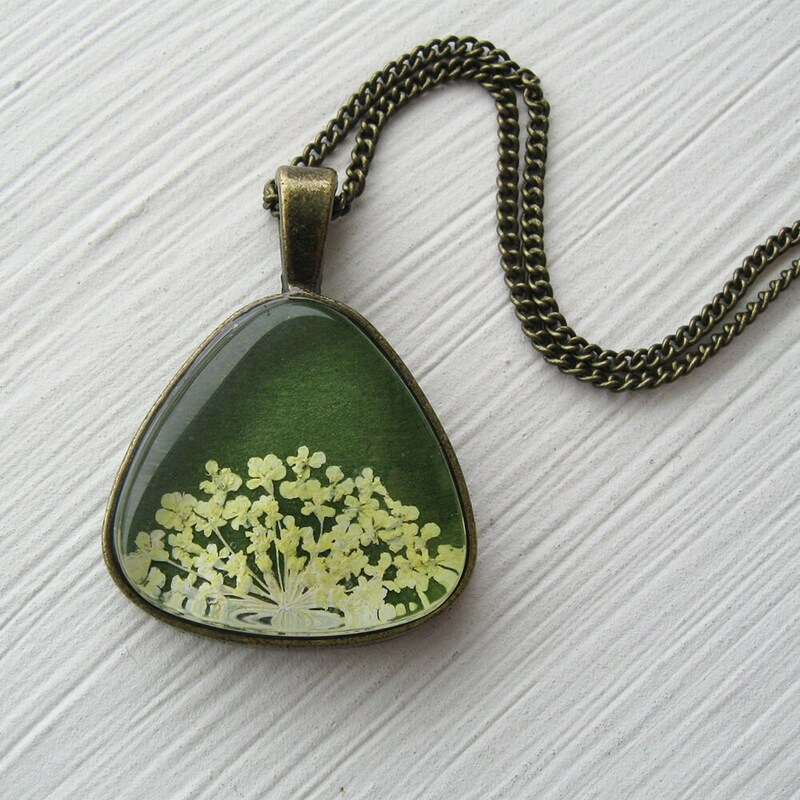 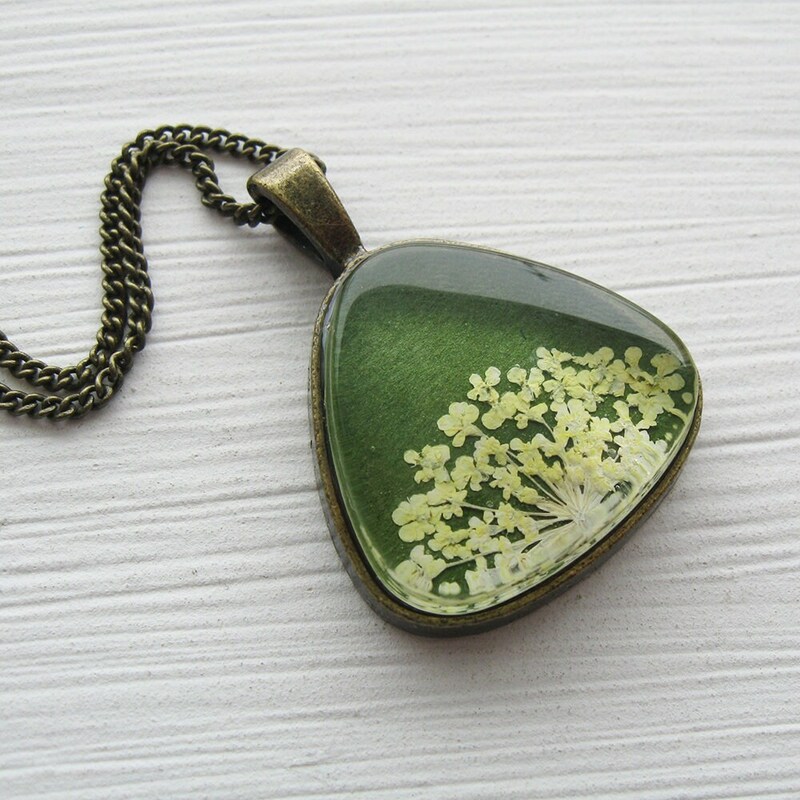 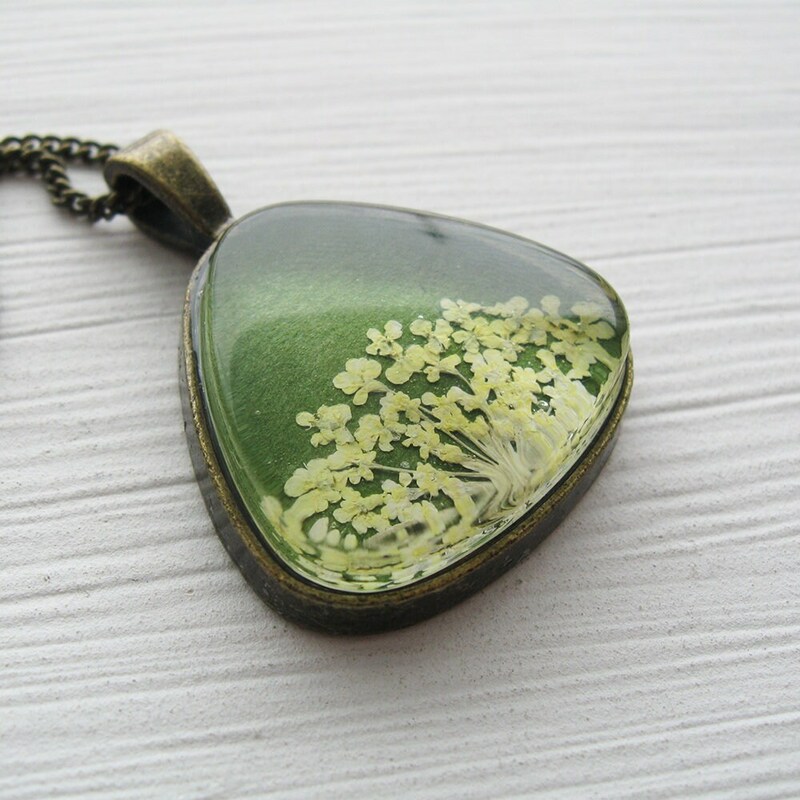 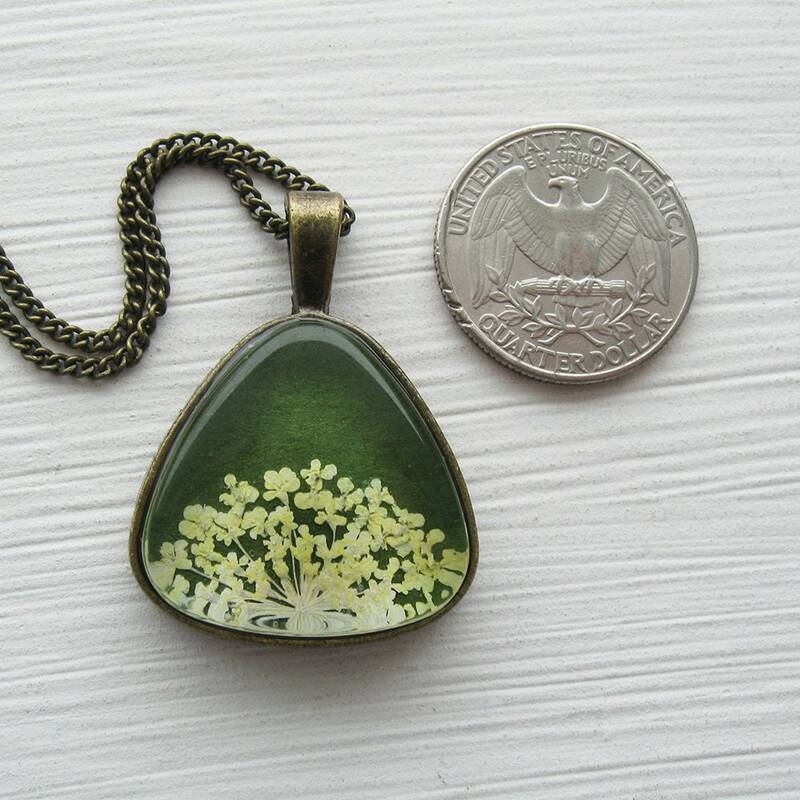 Real Queen Annes Lace Necklace - Green and White Pressed Flower Necklace. 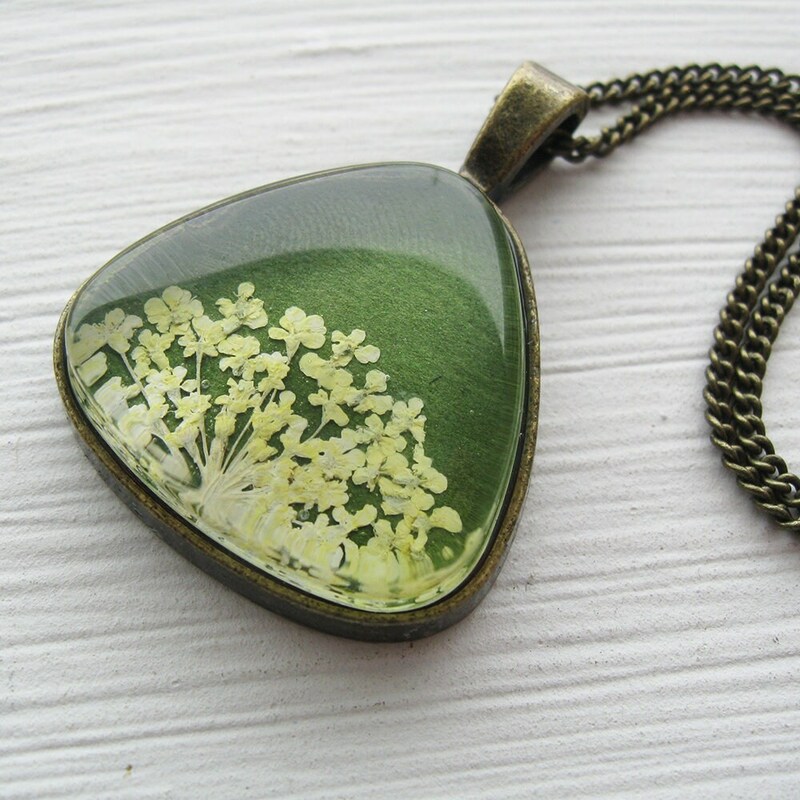 This necklace is made from real pressed Queen Anne's Lace flowers and set in either a silver or brass triangle triangle with glass. 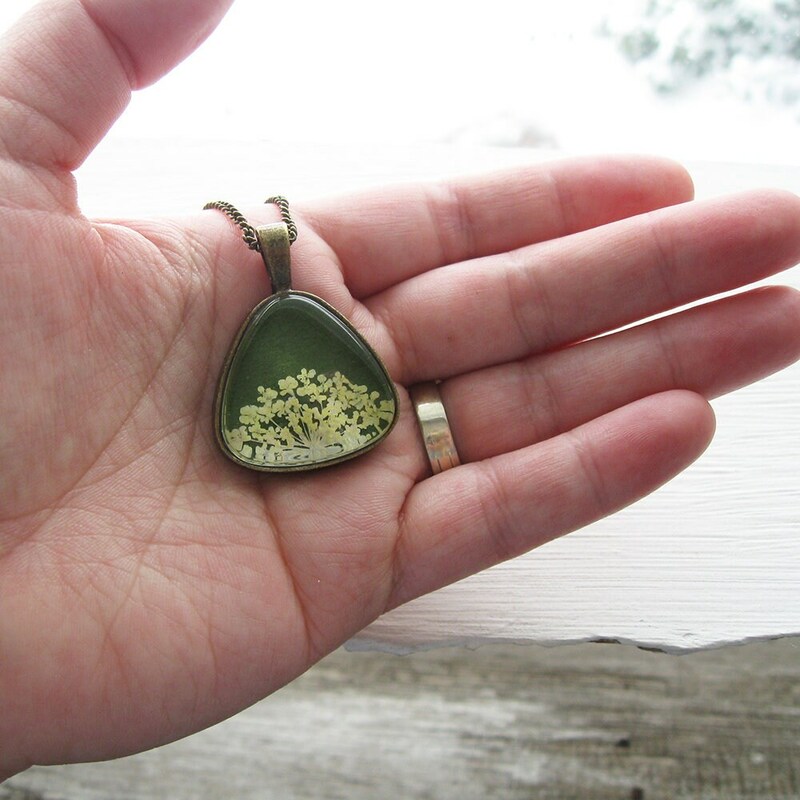 1" triangle on a silver or brass chain. 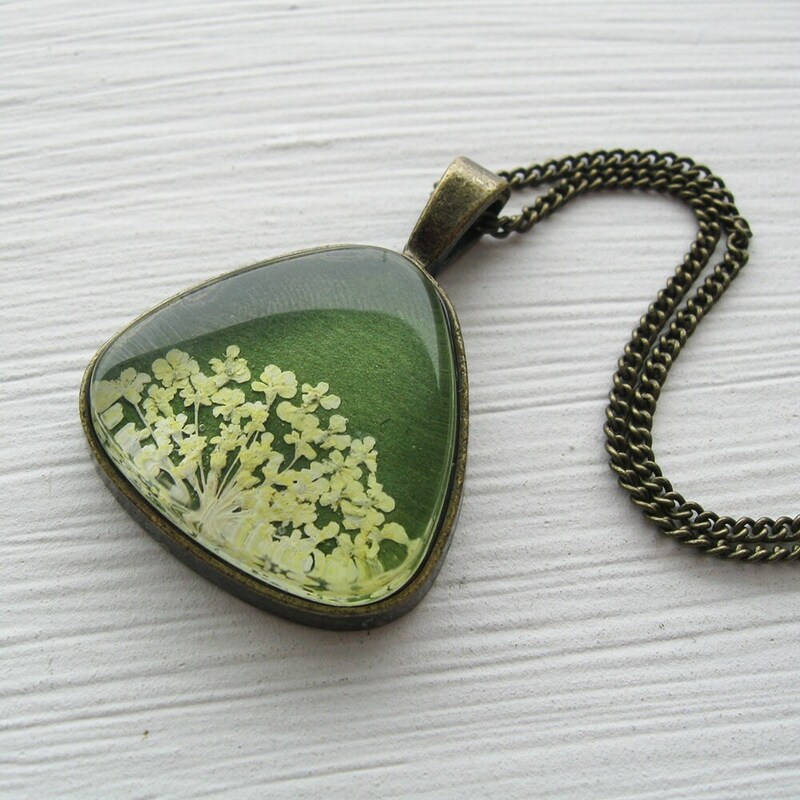 Choose your chain length.